Member of the Special Competition's organising committee, Kudjoe Fianoo has indicated the organising committee will consider amending the kickoff time after teams complained of unfriendly weather conditions. Accra Hearts of Oak gaffer, Kim Grant blamed his sides one nil defeat to Elmina Sharks on the weather claiming it "slowed the tempo" of their game. According to Kudjoe Fianoo, the 3pm time would be change to 3:30pm which will be suitable for players and fans. 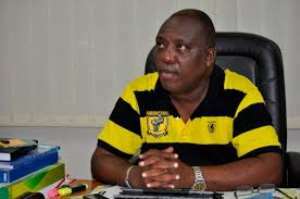 "Its a good concern raised by Kim Grant because I visited Tamale where RTU played Techiman City Football Club, it was 39° Celsius match played at 3pm," Kudjoe Fianoo told Oyerepa FM. "I will take it up in our next meeting if we can shift some of our matches to 3:30pm because if we spectators are complaining, then what of those on the field running for 90minutes. "Medically and Scientifically, its something we should look at, if even we have to speak to the meteorological services so we know the weather projections should we change kick off times because visibility is also another issue we should consider." The Special competition was put in place by the FIFA appointed Normalization Committee, after football activities in the country was brought to a standstill following an expose by investigative journalist Anas Aremeyaw Anas, that revealed corruption in the Ghana Football Association.